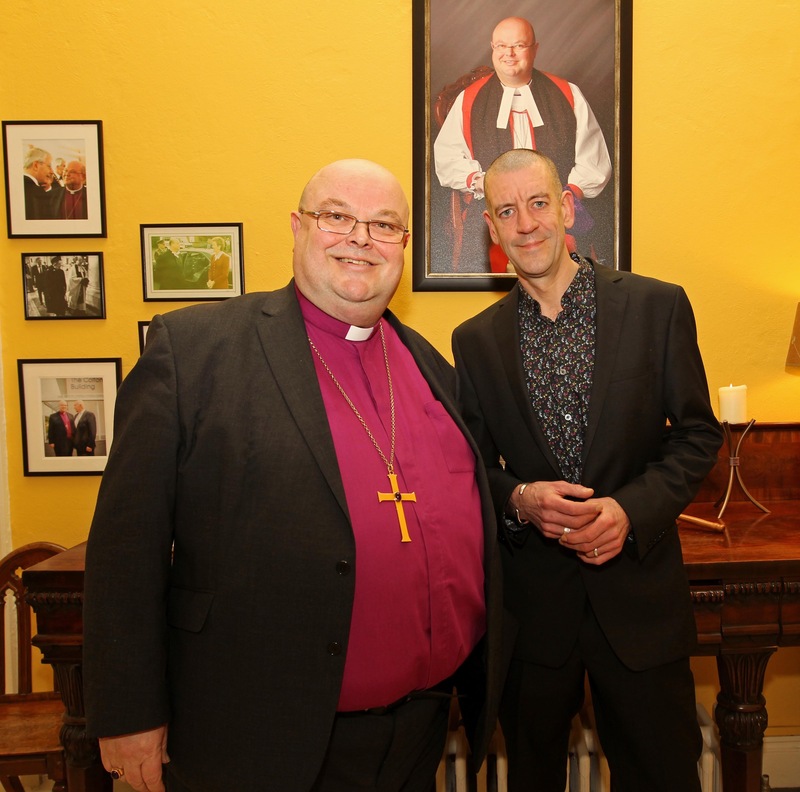 Bishop Paul Colton with Professor Diarmaid Ferriter, Professor of Modern Irish History at University College, Dublin. A public lecture – 1916: New Perspectives; Old Rows – by Professor Diarmaid Ferriter, Professor of Modern Irish History at University College, Dublin, first of a series of events planned by the Church of Ireland in the United Dioceses of Cork, Cloyne and Ross to mark 2016, the centenary year of events in 1916. Bishop Paul Colton, introduced by the President of UCC, Dr Michael Murphy. In addition to Professor Ferriter, other speakers were Dr John Borgonovo (Lecturer in History at UCC) and Professor John A. Murphy (Professor Emeritus at UCC) Diocesan event held in the Aula Maxima at UCC. The programme for the centenary year has been organised jointly by the Bishop of Cork, Dr Paul Colton and a group at St Fin Barre’s Cathedral, led by the Dean of Cork, the Very Reverend Nigel Dunne, including local historian, Dr Alicia St Leger and the writer Mary Leland.